How do we make Auckland's growth work for everyone? Have you noticed? Auckland is growing and changing – quickly. Among other things, we’re attracting talented and diverse people and businesses, we’re making progress on a transport system overhaul, and we’re seeing more events and public spaces that bring Auckland to life. I bet you’ve also noticed this: managing this growth isn’t an easy task. Our infrastructure is literally showing signs of cracking under pressure. Our natural environment is in slow decline, with key indicators like water quality going the wrong way. Our communities and streets are changing and getting busier as new houses go up and trees are taken down. Time is running out! Have your say on Auckland's future by 28 March. But it doesn’t have to be this way. We need to challenge the assumption that growth means environmental and social decline. If that were inevitable, we’d all have to submit and be in brace position for the next several decades. Growth can be an enabler or disabler, fuelling our collective success or driving greater inequality. Other cities have seen rapid rises in population, GDP, equality – and even measureable happiness! – while things like carbon and air pollution dramatically fall. How do we convert the challenges of growth into benefits, delivering better and lasting outcomes for our people, our prosperity and our place? It means doing some things quite differently. For instance, growth should pay fairly for itself, decisions should be based on longer-term thinking that values more than just the financial bottom line, and we should require all interventions – from a large new development to an individual house – to be a measured improvement of existing conditions. We need another, better vision. Luckily, we have a good start in Auckland Plan 2050. The core of the plan is the belief in a positive future for current and future Aucklanders. It seeks to provide all Aucklanders with opportunity and a sense of belonging, allow us to adapt to change, and go beyond sustainability to restore and regenerate what we value about this place. Knowing what future we want is key, so that all decisions, projects, actions and investments line up to make that future possible. And then it’s up to all of us to paddle the same direction, to hold each other accountable when we stall or stray, and to participate actively in our civic process to deliver on that better future. 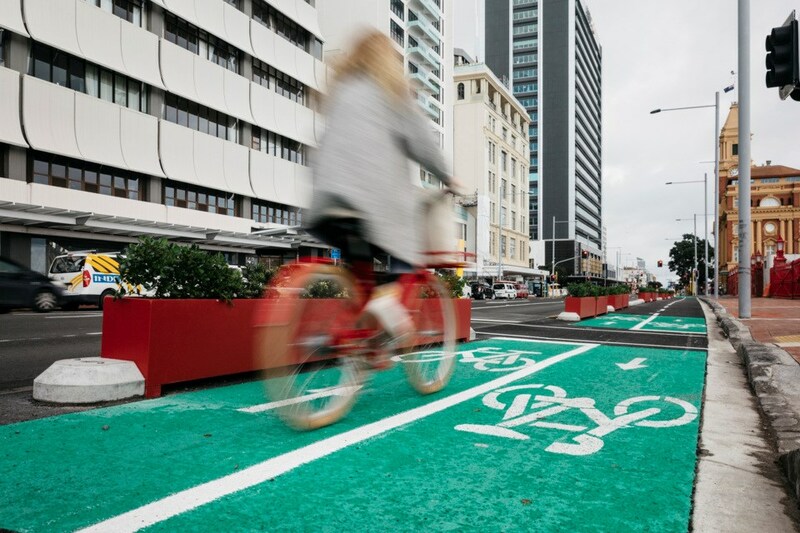 Speaking of which, we’re seeking your feedback on the Auckland Plan 2050 until 28 March. Among other things, the plan specifically calls out using our growth and development to protect and enhance Auckland’s environment, future-proofing our infrastructure and creating a resilient economy with resilient infrastructure. This Thursday 22 March at 5.30pm a panel of industry experts will discuss and debate Auckland’s environmental challenges and potential solutions at Auckland Conversations. Our MC Bernard Hickey with be joined by Mayor Phil Goff, alongside Nicola Toki, Dept of Conservation; Rod Oram, Newsroom; Margaret Stanley, Professor of Ecology, University of Auckland; and Hayden Smith, Founder, Sea Cleaners.